This type of lying and deceit can happen in nearly every relationship in your life from romantic relationships and friendships to coworkers and even occurring on a national level. Consider, for a moment, the manipulation practices of corrupt politicians and world leaders – You must always be aware of the possibility of this deceit in your life. The practice of gaslighting involves systematically calling the sanity of the victim into question by making them a question and doubt their decisions, actions, and understanding of reality. The further this is drilled into their mind, the more that the manipulator can control the thoughts and actions of their victim by convincing them that their version of reality is actually the truth. The line between truth and manipulation becomes blurred, and the victim loses sight of what facts are real and which have been created by the manipulator. This goes a step beyond just lying. When someone lies to you, and you discover that they haven’t been truthful, it hurts but you can recover knowing that you still had the truth on your side. When someone has to acknowledge and recover from the emotional trauma of gaslighting, they are now in a situation in which they have to rebuild their reality from the ground up. The first step to freeing yourself from this toxic dynamic is to discover the warning signs that you are being manipulated. This includes when someone says something to you, but denies it later, especially if you have proof of their initial statement when their actions are not matching up with their words, or if they are using something that is near and dear to your heart, like your children, as ammunition. Once you have recognized that there is something wrong, you must start taking steps to protect yourself mentally and emotionally. One technique introduced by a spiritual school called ‘Waking Down in Mutuality’ in the 1990s is called ‘greenlighting.’ The term refers to the movie industry and Hollywood. When a new movie is pitched to the potential backers, they are seeking approval and permission to proceed. When this permission is given, that is referred to as ‘greenlighting’ the project. When you are dealing with difficulty and manipulation, many victims will hold back, ultimately trapping themselves in the pain and heartache that they are experiencing. 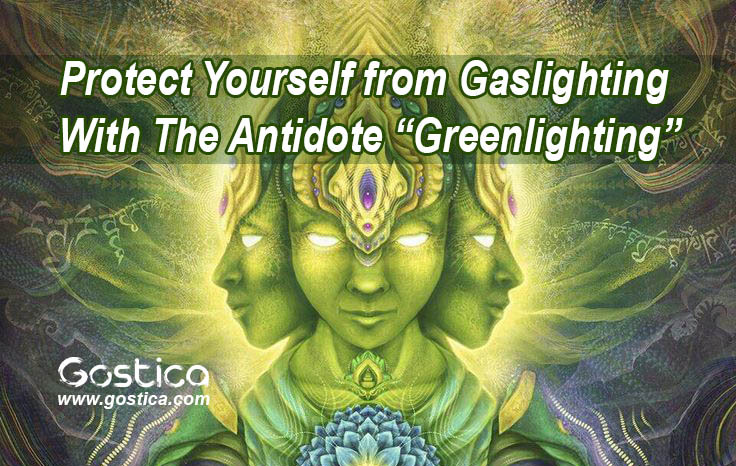 Greenlighting means giving yourself permission to move forward in your life. This includes giving yourself permission to be vulnerable, as well as to ask for support from the people in your life. You can recover from this, and there are greater times ahead. Stand tall and know your worth!